Pago Pago is known as the territorial capital of America Samoa and used to be the area site repair station for the U.S Navy. Pago Pago is an inlet that indents the Southeast shore of Tutuila Island. The city used to be known as a sultry and shabby town which is now turned into a residential and industrial centre. 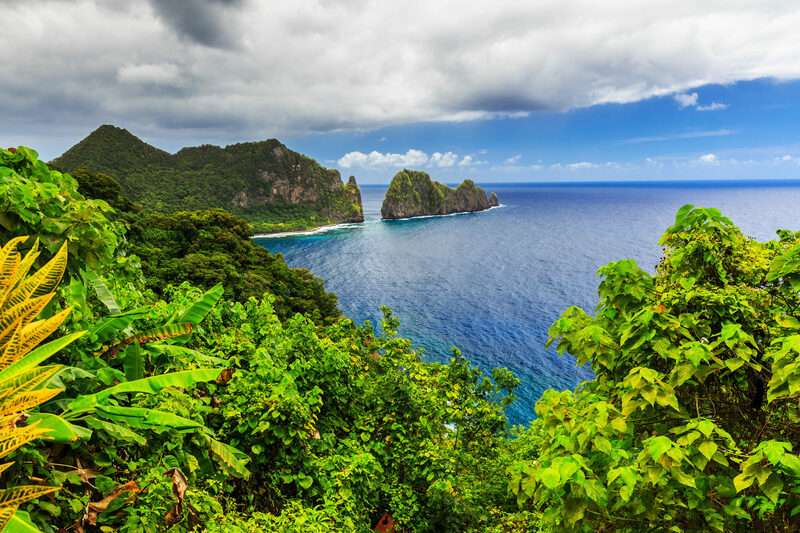 Pago Pago is a mountainous area surrounded by the clear Blue Ocean and tropical scenery. Mt Alava is one of two signature summits of the Alava Bate Sanctuary. The summit is 1610 feet above sea level and is the third highest point in Tutuila. It is a very popular destination for tourists if you hike to the top has the most magnificent views of the city below. Rainmaker Mountain is also know as Mt Pioa traps rain clouds and gives Pago Pago the highest rainfall of any other harbour in the world. The mountain is designated as a national landmark due to the tropical vegetation on the slopes.